Last Sunday night, I arrived back in Beijing from a ten-day trip through Yunnan Province. Yunnan is located in the southwest corner of China and borders Myanmar, Laos, and Vietnam. It’s just under 1,700 miles from Beijing and just over 1,800 miles from Udaipur. Located almost squarely between the two cities where I’ve split the last four months, Yunnan serves as more than just the geographic midpoint between the two halves of my experience here. Visually, Yunnan brought me back to Udaipur- women wore elaborate and bright textiles, lakes were nestled between rolling hills and mountains. There were shops selling Indian food, and we even saw a few cows in the road. Culturally, it also appeared to be a blend of the two places. 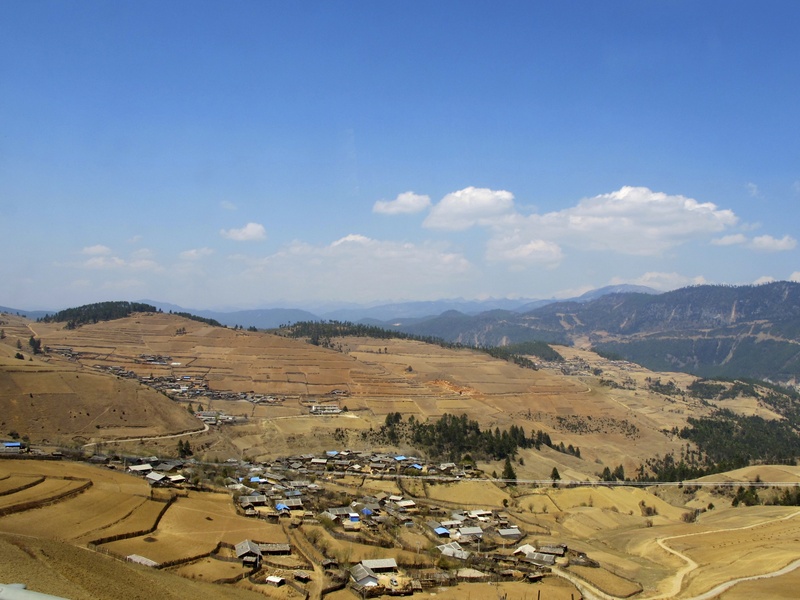 Several ethnic minorities inhabit Yunnan, and we were able to visit the homes of different tribes. Some people conversed in Mandarin, but many other spoke their own tribal dialects. Rajasthan is also home to several large tribes and ethnic minorities. There, too, many people spoke different dialects in addition to Hindi and/or English. Religiosity was also very apparent in Yunnan. 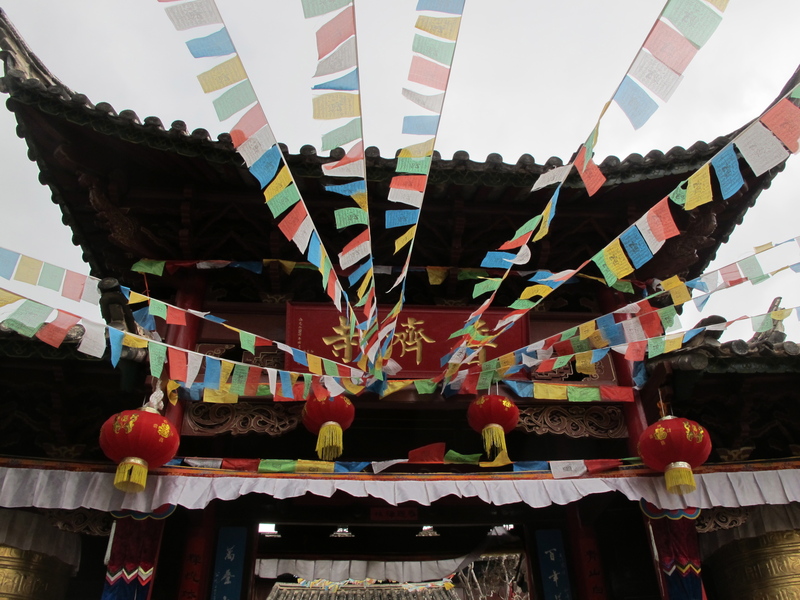 When walking through Shaxi, one of the towns we visited on the trip, we saw a roadside shrine to a village deity. Seeing the shrine and visiting temples during the trip to Yunnan evoked memories of India where it felt like a religious structure was constantly in eyesight. 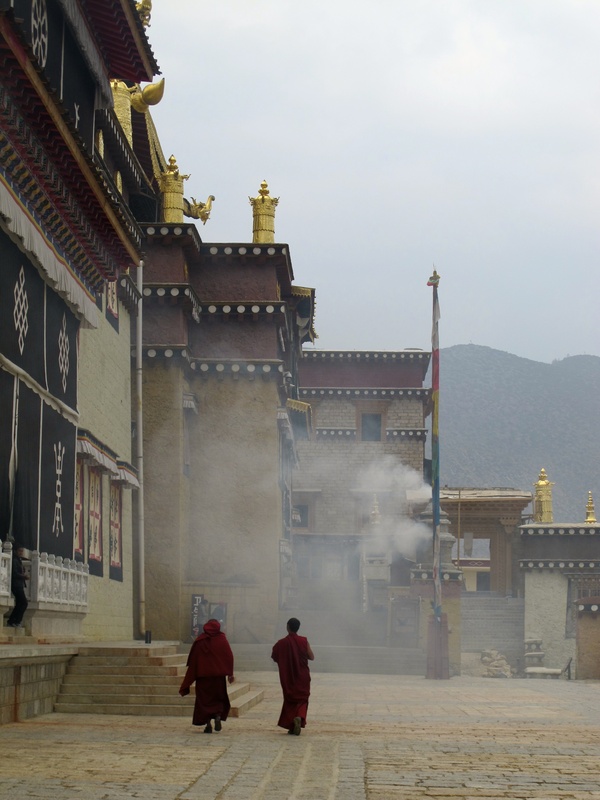 At the same time, Yunnan was entirely unique, unlike anything I’d experienced in Udaipur or Beijing. At 3,300 meters, there was no doubt we were a long way from Udaipur (600 m) and Beijing (44 m); even a light hike felt grueling. We travelled in a new way: sightseeing with tour companies. 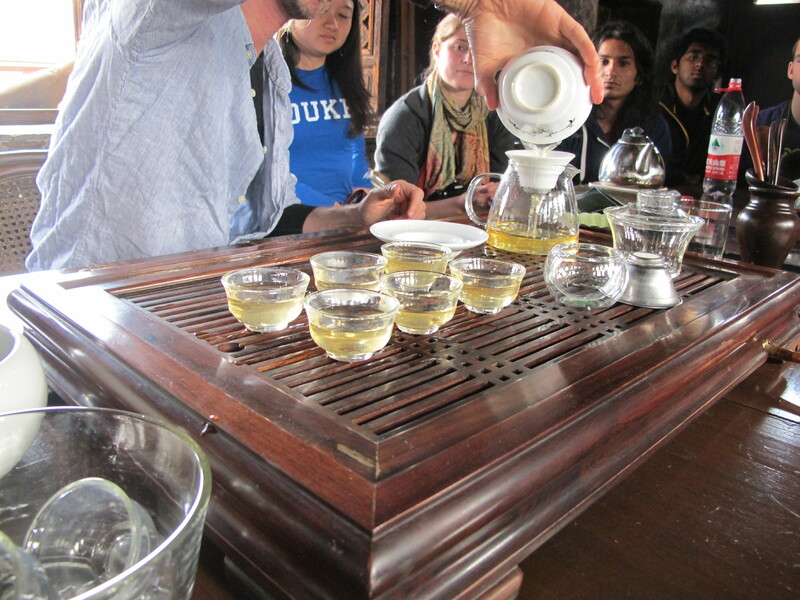 And we studied new things: the ancient Tea Horse Trade Route and current primate conservation efforts. 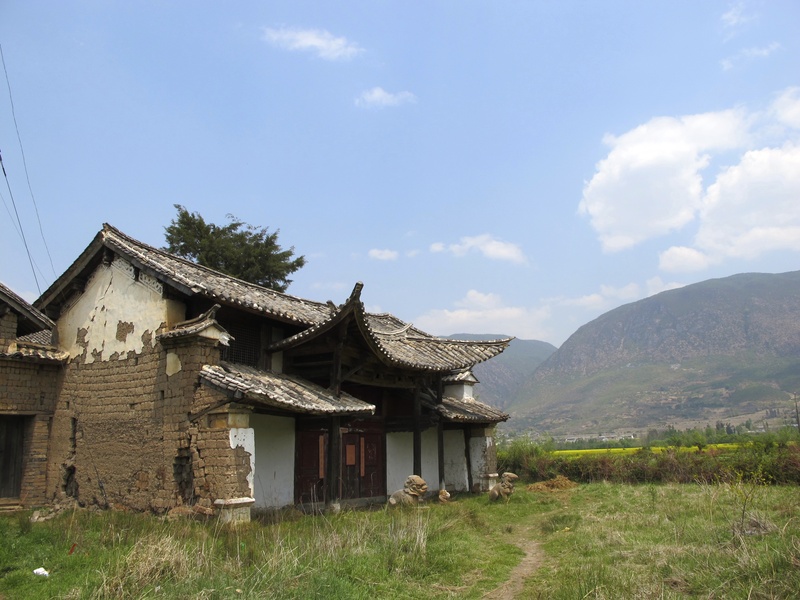 During our ten days there, we visited three different cities (Lijiang, Shaxi, and Zhongdian) and spent two nights in a nature reserve in Tacheng. 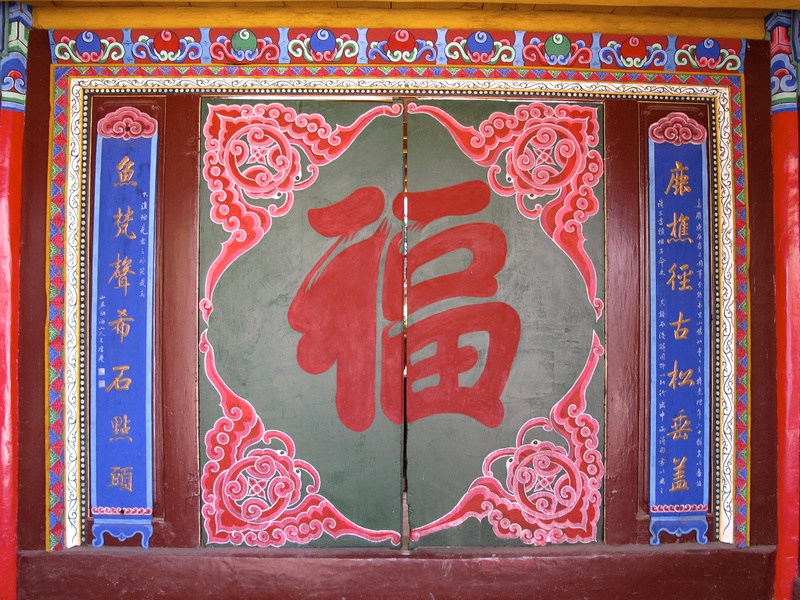 In Lijiang, we visited a house-turned-museum for a lesson in the Dongba pictographic language of the Naxi tribe. We hiked to a small Buddhist temple where a monk recited a blessing for us. 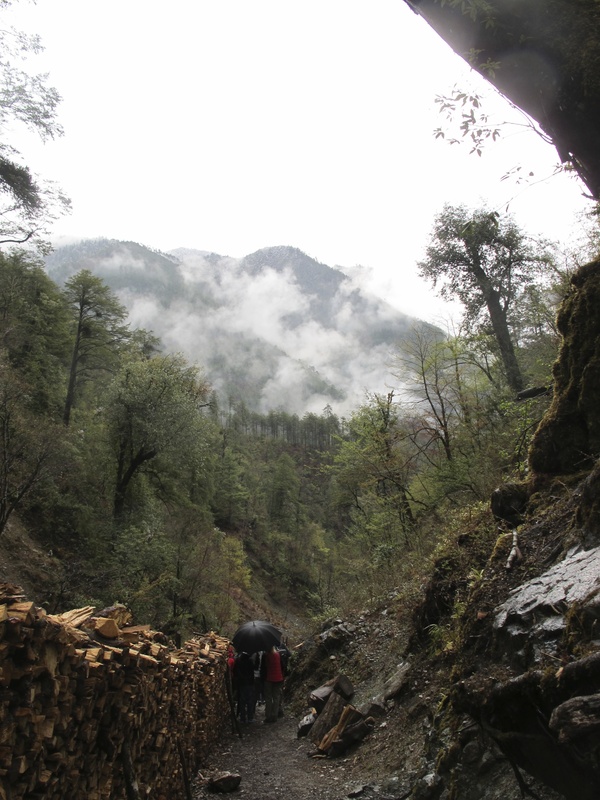 We spoke with a woman at The Nature Conservancy about the group’s work in and around Lijiang. We explored the Old Town, and got $8 massages. The spa idea sounded great in theory, but unbeknownst to us, the shop we visited subscribed to a unique, deep-tissue school of massage, and we all left feeling a bit more bruised and sore than we felt coming in. 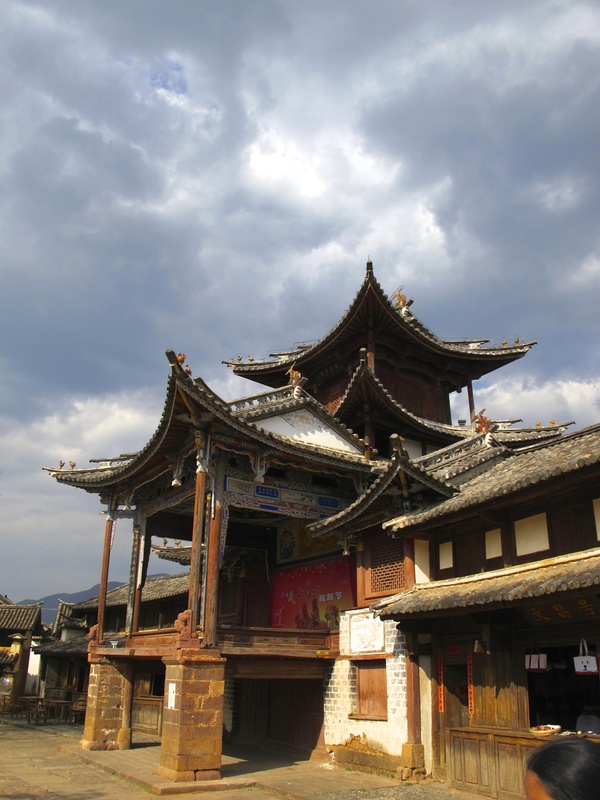 We then drove southwest to Shaxi, a small town that was a key layover point for traders on the Tea Horse Route. There, we tasted 600-year-old Puer tea that sells for $800/kilogram- no surprises that the tasting cups we were given were only slightly larger than bottlecaps. 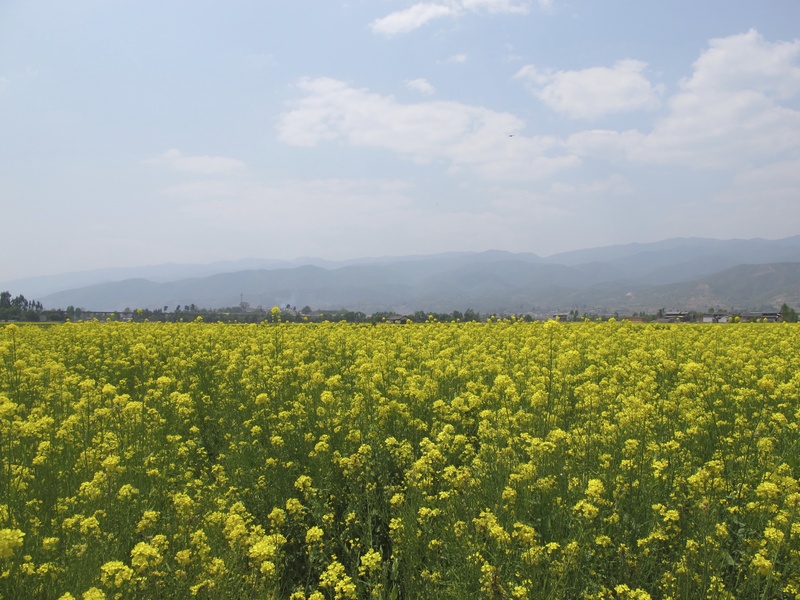 We walked through bright-yellow fields of canola plants and visited an abandoned nunnery. The morning before we left Shaxi, I woke up early and went for a run. I was out as vendors were setting up their shops along the main street and farmers were beginning work in their fields. I ran through the main section of town and out into a small enclave of houses that Nicole and I had stumbled upon the day before. The air was crisp, and the clouds hung low. After running uphill for a while, I decided to head back toward the hostel. As I turned back, I looked out over the huge terraces of crops that I’d been running past. The slight breeze sent waves through the plots of long green grasses and menacing blue-black mountains lay in the distance. On my way out through town, I’d passed an elderly man. As I ran home, I saw him again and he gave me a wide grin and clasped his hands together. “Very good!” he told me. I giggled and kept going. It was an incredible way to start the day. 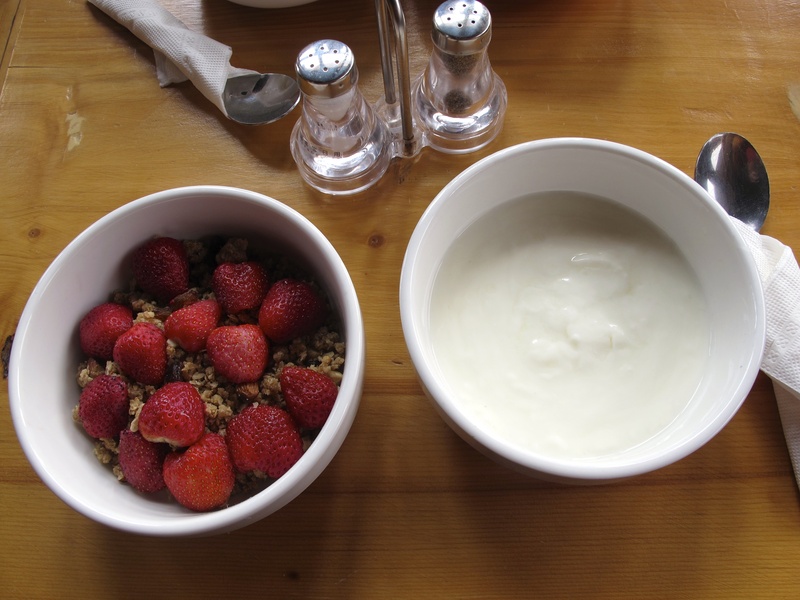 We had breakfast that morning at the hostel (peanut butter, toast, eggs, and of course, tea) before heading to Zhongdian. In 2001, Zhongdian was renamed Xianggelila or Shangri-La (the paradise described in James Hilton’s 1933 novel, Lost Horizon). 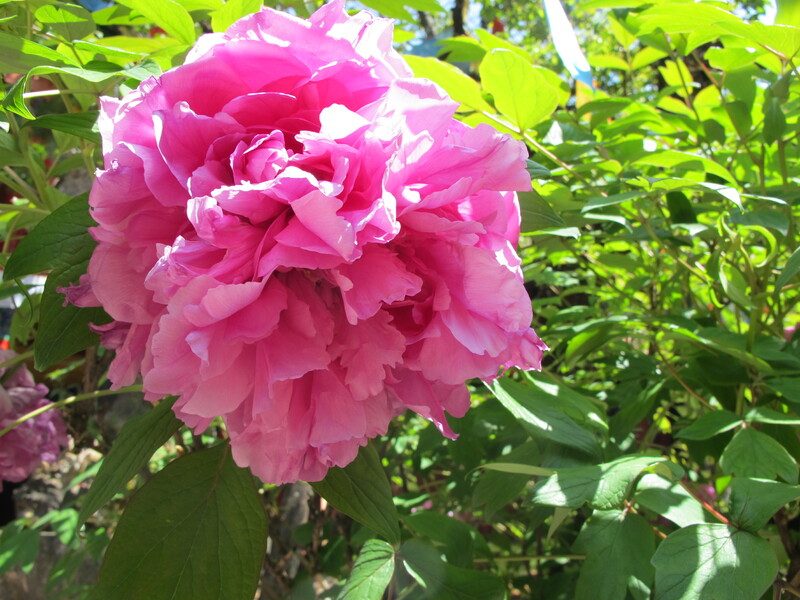 Shangri-La or “shambala” in Sanskrit means place of peace. The politics surrounding the name change were highly contentious, but the place itself is totally serene and wears the name well. While in Zhongdian, we visited an enormous, gold-roofted monastery and hiked up a small hill with a small shrine and 360 degree view of the Napahai valley. 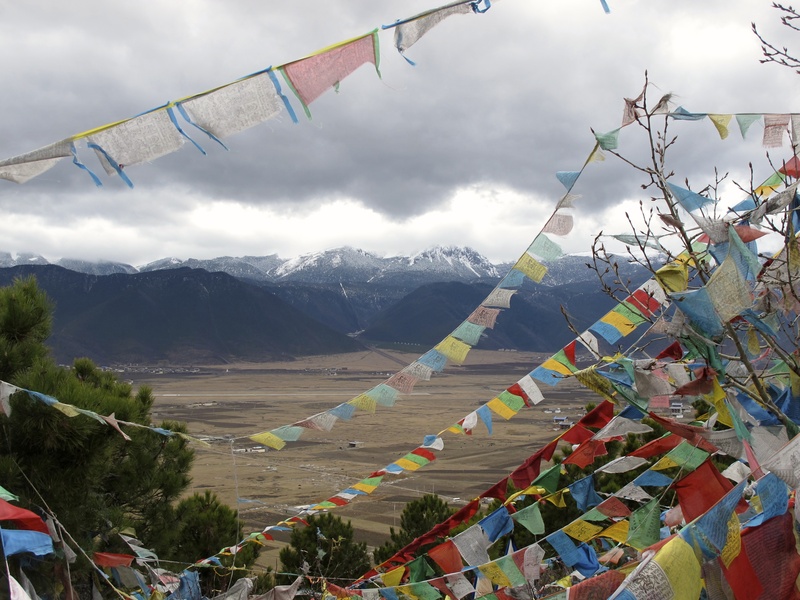 Prayer flags rippled in the stiff wind, and we could see snow capped mountains in the distance. 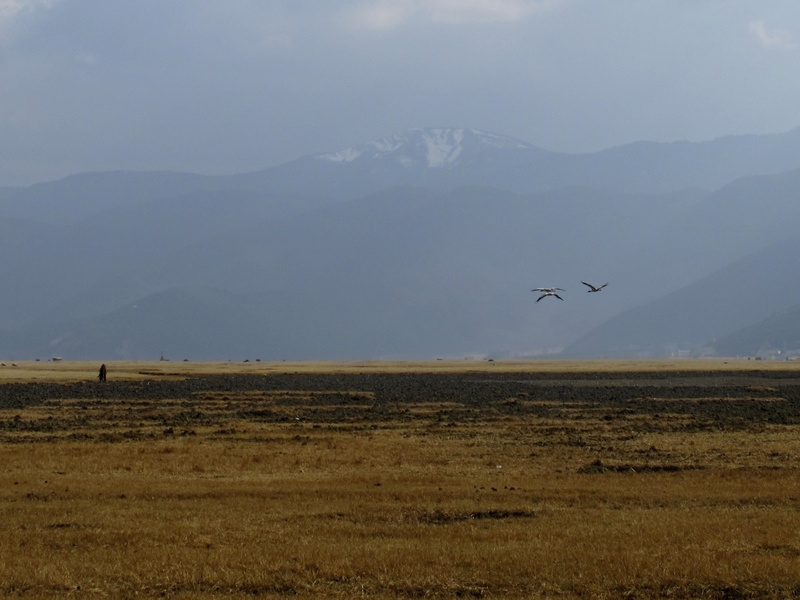 As we walked across the valley below the hill, we caught a glimpse of the rare black-necked crane, a symbol of luck. That night, we ate dinner at a local Tibetan family’s house- butter tea, yak meat, and a dance show to cap the night off. The next day, we woke to two inches of snow on the ground. It was beautiful, but delayed our departure for the next portion of our trip. After an extended breakfast at a local café, we piled into busses for a six hour ride down the mountain to Tacheng where we’d be staying in a nature reserve and learning about the efforts of China Exploration and Research Society (CERS) to preserve local Lisu culture and protect the endangered snub-nosed monkeys. 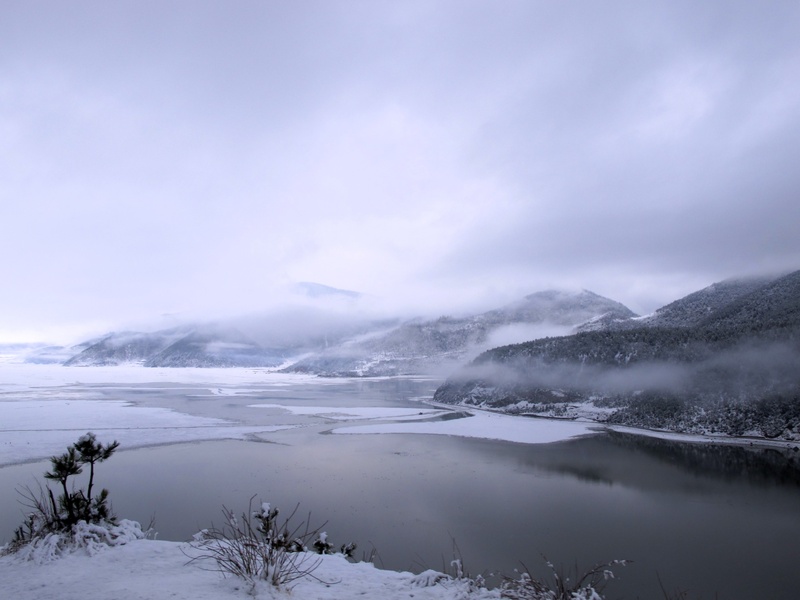 Yunnan means “south of the clouds” in Mandarin, but during our time in the nature reserve, we were literally among them. We stayed in small log cabins tucked into the forest. At points during our stay, it was impossible to see farther than a few meters with all the clouds hanging around us. It was beautiful, despite the fact that it never stopped raining. 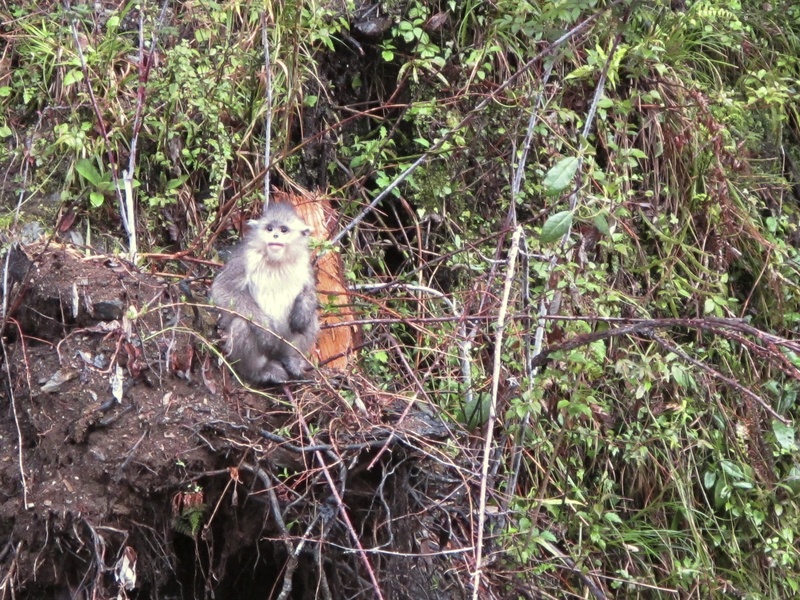 We observed snub-nosed monkeys and visited a nearby Lisu village. We learned about bee-keeping techniques and spoke with a local ranger. 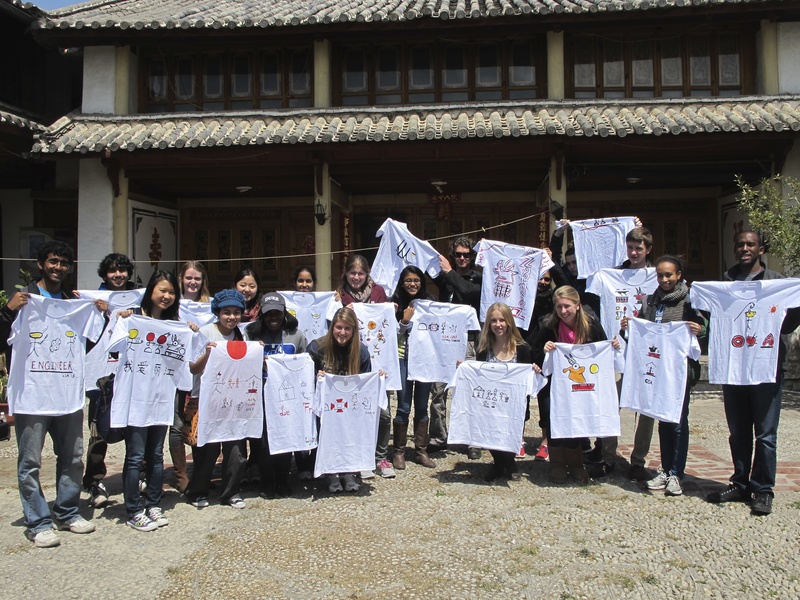 On Saturday morning, we headed back for a final day in Zhongdian before flying out on Sunday. What in many ways appeared the middle ground between Udaipur and Beijing, Yunnan gave me something totally different- a serene, peaceful escape from the crowded, bustling cities where I’ve spent the last three and a half months. 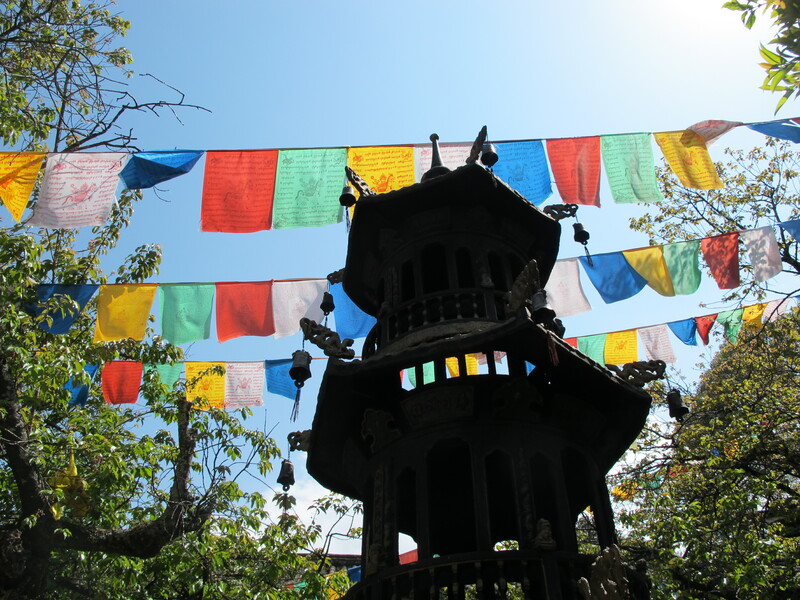 The clean air, mountain vistas and forests of prayer flags were such a relief. When we got word that the bird flu had hit Beijing, I joked with friends that we could adopt a simple plan: run away and stay in Yunnan forever. I could think of worse places to end up. But for now, I’m happy to be back in Beijing. Relaxed and rejuvenated from the trip, I’m ready to soak up my final 13 days in China (14 until I see Collin, 25 until Minnesota, and 43 until Bowdoin.) Yes, the countdown has certainly begun.